In line with Synod recommendations, the Church Council has decided that St. Alban’s should become a green church and proactive on environmental issues. Our environmental group consists of five members, including an Environmental Officer as chair and coordinator. This sub-committee has been called ‘The Environmental Task Force’ (ETF). Because many of the changes suggested by the Council affect the fabric and maintenance of the church, the two churchwardens automatically serve in the group, together with two members of the congregation recommended by the Council. The Environmental Officer and members of the group are entirely accountable to the Council and appointed to serve for three year terms. The Task Force meets a minimum of 4 times a year to review environmental action and issues. They inform and advise the Council on environmental matters and monitor the progress of any environmental policies the Council has chosen to adopt. They also take a lead in the organisation of activities designed to create and increase political pressure. They help to increase understanding of environmental issues and establish contact with the wider community in connection with environmental matters and initiatives. 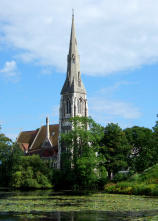 They ensure communication in St Alban’s about environmental issues, provide a link with the Diocese’s environmental officer and the Church of England’s Shrinking the Footprint Campaign, and recommend events and publications for the Council to consider promoting. The Task Force is open to ideas, suggestions and advice from anybody in the congregation who wishes to help, and likewise available to answer any questions and inquiries that might arise. 10 Ways to Reduce your Carbon Footprint - and Save Money!